A very special summer concert is coming to you from the Western Piedmont Symphony and Hickory Crawdads! 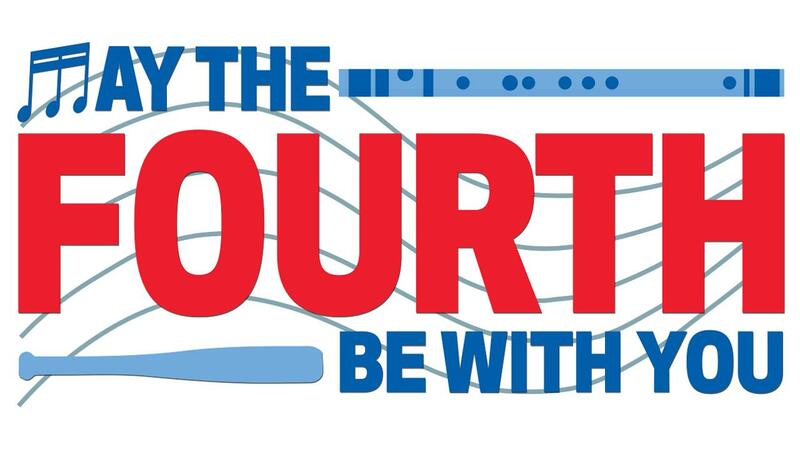 May the Fourth Be with You: An Evening of John Williams , will be a summer event like no other. The concert will be on Saturday, May 4th, 2019 at 7:30 p.m. at L.P. Frans Stadium, home of the Hickory Crawdads. The award-winning Western Piedmont Symphony will perform a program of John Williams classics. Enjoy the sounds of Indiana Jones, Jurassic Park, Harry Potter and an entire second half dedicated to Star Wars. It is certain to be an amazing night out for the whole family! This concert will also be the premiere for the chosen candidate of the Maestro Challenge, which is the search to find the Western Piedmont Symphony's next Music Director & Conductor. You won't want to miss the new Maestro's great debut or an evening full of great music. Ticket prices are $25 per adult in advance, and $35 at the gate. Tickets for children aged 3-17 are $10. Children 2 and under are admitted free. A Family Four Pack including four tickets and four meal vouchers is also available for $99. For the month of December, you can take advantage of early bird pricing. From December 1-31, tickets are only $20 per adult and $5 per child (ages 3-17). Tickets can be purchased online 24/7 at WPSymphony.org/Tickets; through the WPS Box Office from 10 a.m. - 4 p.m. (M-F); info@wpsymphony.org, and at 828-324-8603. You can also visit HickoryCrawdads.com or call 828.322.3000 for tickets. Get your tickets now for this wonderful, family event! Western Piedmont Symphony is a grant recipient of the North Carolina Arts Council and a funded affiliate of the United Arts Council of Catawba County.